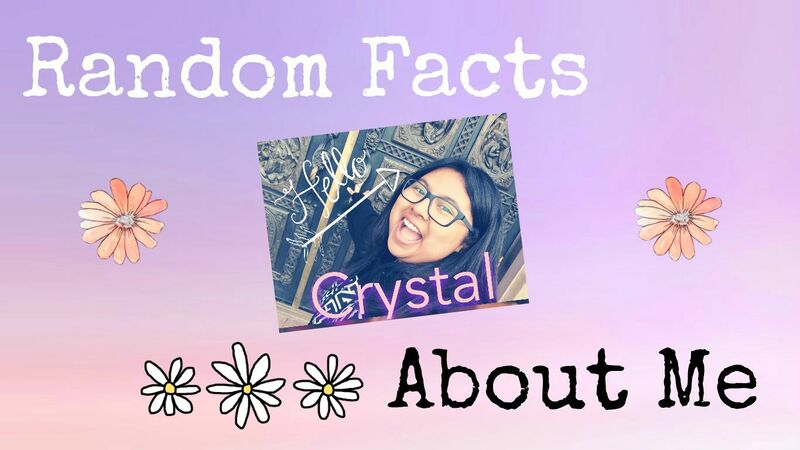 Crystallized Daisies : My First Youtube Video, what!? So this has been something I have debated about for years. Ever since I found out about youtube, I've always wanted to make videos of my own. Regardless of wether anyone watched them or not. But I've always been scared of putting myself out there and not knowing if what I make will be liked by others. I recently just decided that enough is enough. I can't keep pushing this off because of what people will think. Sure I may not have the most interesting videos and I may not be the most aesthetically pleasing person in the world, but I should do this because I want to. I feel like this will allow me to get a better feel of what producing content is like even if it is just 5-10 minute videos. I also think that this will allow me to create more and want to get better at it as I go. 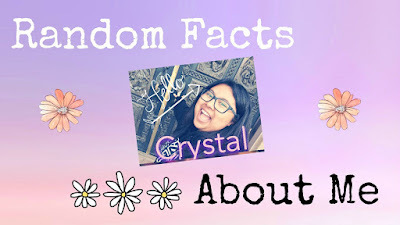 - I'm aware that I said this was going to be 50 facts but I only ended up having 41 (which is a really random number) so just pretend that didn't happen. Wait! One more thing :D This is going to be the first time you guys actually get to see me! Being that I don't have any profile pictures. This is a big step for us! So just lower your expectations a bit haha. I absolutely LOVED this, Crystal!! It was soo great hearing your voice for the first time AND seeing what you looked like!! :) I found myself laughing out loud, you're so charismatic! I totally understand how scary that first plunge can be..when I first started blogging, I didn't show any close up pictures of myself. But I got tired of "hiding" and decided to just go for it. It was scary at first (sometimes still can be!) but in the end, it's so much more rewarding! Subscribed to you! :) This is truly exciting, I feel like I know you better already, woo! Thank you so much Lor :D !!! All of these sweet comments are definitely so comforting <3 :) haha Yay! I was so nervous just thinking about posting it and I was like ah! what the heck. But I feel like now that I've gone through and posted it - it just makes me want to make more videos and get better at it. I don't think you have to be a YouTube partner to change your tumbnail. I was always able to use the thumbnail I wanted and I'm not a partner. I think you can somehow change it in the setting.